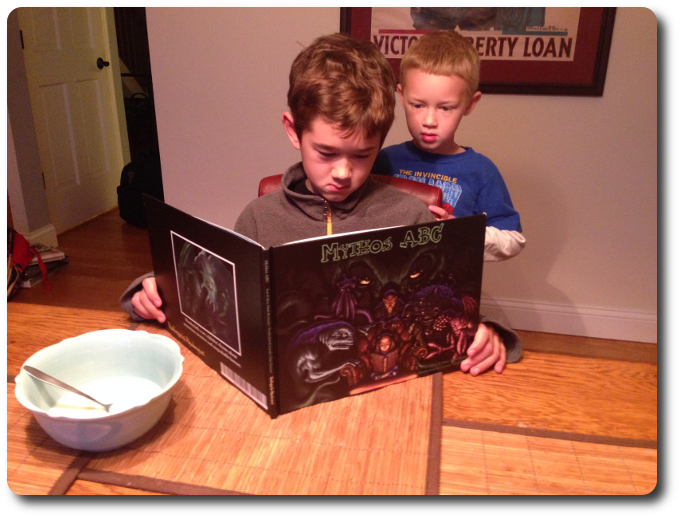 The Great Old Ones support literacy! H.P. Lovecraft, and those who later expanded his work, documented unspeakable horrors that are difficult to imagine and have impossible names. 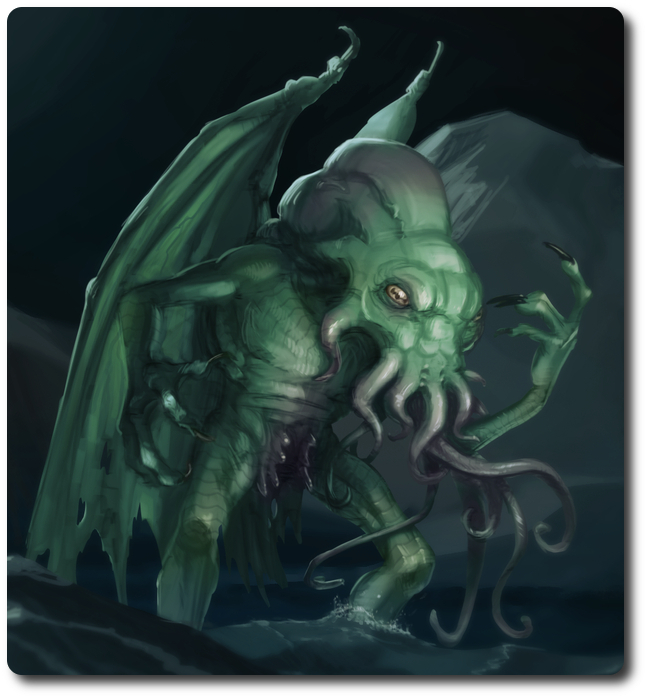 The most well-known is Cthulhu, but there are countless others that many readers know nothing about. This book seeks to obliterate such ignorance by warning humanity of the hidden dangers by cleverly disguising itself as a children’s book. Mythos ABC, written by Mads Brynnum, is 26 pages of letters and madness. Everything from Azathoth to Zann’s violin is covered. For those who are already familiar with Lovecraft’s work and that which he inspired, many of the creatures, old gods, horrors, and unfortunate folk who get in the way will be instantly recognized. Each new poem introduces, describes, and informs the reader what is being discussed, why they should care, and other interesting tidbits. While not designed to be a survival guide, the poems do give the reader advice on how to avoid or escape lurking horrors. Attempting to pronounce names likes Tsathouggua, Rhan-Tegoth, and Quachil Uttaus can leave many with a sprained tongue. The poems that accompany the names attempt to describe the indescribable, but do not always succeed. Colorful and dark images are provided for each letter that portrays the subject of each poem. This is where the book really shines, giving the reader context for that which defies most attempts to put into a frame of reference. No longer need the reader ponder what a Kadath looks like or how many eyes a Byakhee has. It’s all illustrated in great detail, leading many to question the sanity of the book’s author. But Mythos ABC is not the lonely work of one person. Mads Brynnum may have penned the poems and imagined the book to creation, but he was helped by no less than 9 exceedingly talented illustrators. As the reader traverses the alphabet, they stumble deeper and deeper into the bizarre. Each step is beautifully illustrated. While Mythos ABC appears to be a children’s book, it most certainly is not. It is, first and foremost, a book created by a geek for geeks. There is nothing stopping a Parent Geek from reading the book to their Child Geek and nothing in the content that is “adult” orientated. What makes this an unlikely piece of literature to place on a child’s bookcase is the book’s subject matter. Not many children know about Cthulhu, flying polyps, or the overly annoying Mi-Go. Which, honestly, is kind of sad. This is a flying polyp. Avoid it, children. That being said, the book is suitable for children whose parents have already introduced them to the Lovecraftian Mythos or at the very least have discussed it. There are no images that show guts or gore, but there are tentacles, skeletons, weird alien things, and lots of teeth. Children with overactive imaginations will mostly likely pop a blood vessel in their eyes as they quickly scan each page. So, you know, don’t just leave the book out in the open. Hidden in the dark crevasses of each page and between the lines of the poetry lies a great deal of geek humor. For example, the Deep Ones are described as creatures who will not hurt or fight you as they are too busy making hybrids. There is also a reference to the Gug, who will eat children (being evil), but also wears no pants. 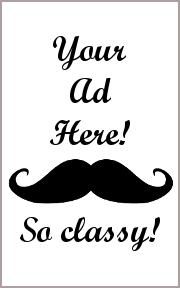 Little tongue in cheek comments are scattered about the entire book, brightening the gloom to a certain degree, but also reminding the reader that this work of fiction was meant to be fun. 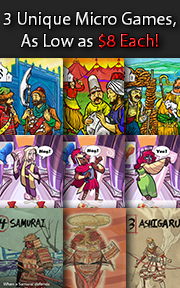 To learn more about Mythos ABC, visit the book’s website. Two different groups of Child Geeks were given this book to review. The first group was comprised of Child Geeks who were well versed in the Lovecraftian Mythos, having read other works of fiction and seen many images of various indescribable creatures. This group loved the book and took turns pointing out details provided by the illustrators, arguing over what some of the poetry meant, and generally having a really good time. According to one such Child Geek, “The poems are OK, but what I really like are the pictures. Seriously good stuff.” Even Child Geeks who could not yet read enjoyed the poems, but not nearly as much as the illustrations. The other group, who had no idea what a “Cthulhu” was (let alone pronounce it), found the book to be really odd. According to one such Child Geek, “I don’t know what is going on or what this book is about.” Even when their peers attempted to explain to them what it was they were looking at, they had no interest in cozying up to Mythos ABC on the couch. The end result was a mixed approval from the Child Geeks, with those who knew where Cthulhu slept praising the book and those who didn’t giving it a pass. The Parent Geeks were almost identical to the Child Geeks, except most of the Parent Geeks had at least heard of Lovecraft. 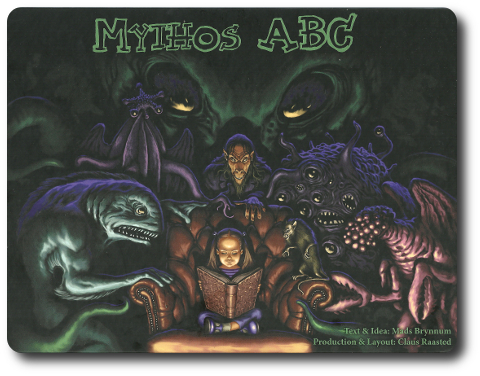 For those Parent Geeks who knew all about Lovecraft, his work, and the many authors he inspired, Mythos ABC was a joy. Full of geeky goodness, humor, impressive illustrations, and designed to be a short read, the more geeky Parent Geeks sat down with the book and loved it. Then they grabbed their Child Geeks and read the book with them. According to one such Parent Geek, “This is great fun. I don’t think I’ve ever seen anything like this and it’s about time someone did a child’s book about Cthulhu.” The other group of Parent Geeks appreciated the poetry, applauded the illustrations, but stopped short of praising the book. As one Parent Geek put it, “I think this book would be great as a gag gift or the kind of thing you’d find on a geek’s coffee table, but it has little value for anyone who doesn’t care for Lovecraft.” A fair and true point. When the book was finally returned, the Parent Geeks had a split vote just like the Child Geeks. Those who loved Lovecraft loved the book and those who did not gave it a pass. The Gamer Geeks very much enjoyed the book. Even those who were not into horror stories gave the book a big smile. According to one such Gamer Geek, “I don’t have any kids, but if I did, I’d read them this book.” Here’s hoping he gets the chance. Another Gamer Geek said, “Always nice to see Geek Culture growing and becoming more and more mainstream. 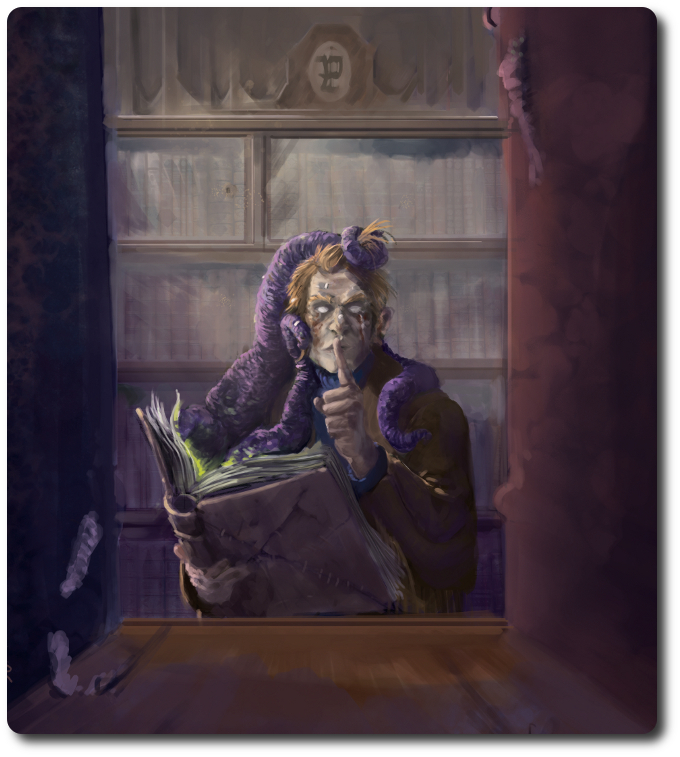 It won’t be long before you can tell people you play Dungeons and Dragons in normal conversation.” One day, to be certain, but for now, Cthulhu appears to be everyone’s darling and the Gamer Geeks were very pleased to give the book their full approval. Mythos ABC is the kind of book you will either immediately fall in love with or reject out of hand without a second thought. It all has to do with the book’s subject matter that is specifically targeting a literary and sub-culture geek collective. Lovecraft has been around for a long time and you can still buy his books along with the countless others that have played off of Lovecraft’s Mythos. But these books tend to be dark, dreary, and sometimes difficult to read. Especially Lovecraft. Good grief, he’ll give you a headache if you aren’t ready for it. Mythos ABC takes this love for the stories and the monsters that they contain, then captures it in a book wickedly designed and laid out to look like a children’s book. And therein lies just one of the book’s many jokes. 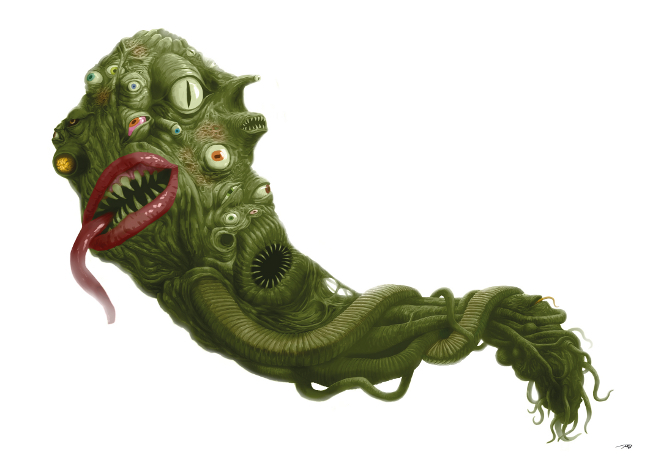 Lovecraft’s creatures are no laughing matter and nor are the stories. A common motif is insanity and isolation. That’s way too deep for a children’s book, and yet here we are, reviewing such a book read by kids. Luckily, none of the dank dourness is present, but just enough of the danger of what lurks in the shadows is still present to give you a pleasant tingle. 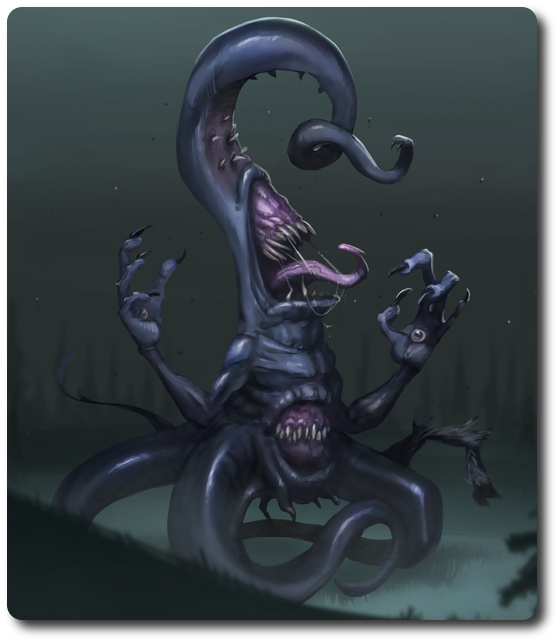 For those who enjoy Lovecraft, the Great Old Ones, their servants, and all the other countless pawns and predators the stories portray, you will enjoy Mythos ABC. It’s a fun romp through madness that will leave you smiling. For those not familiar with Lovecraft’s work, the book will certainly drive you insane as you attempt to understand what it is you are looking at. Tagged Gamer Geek Approved, Literature. Bookmark the permalink. A fine addition to such a list!